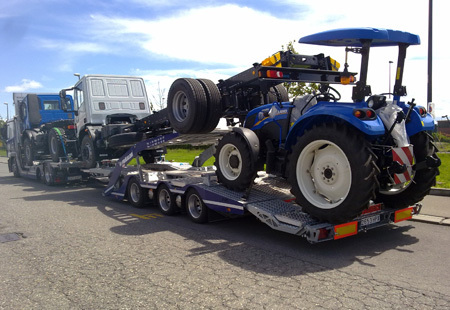 Pañalón offers great quality in the transport of vehicles. 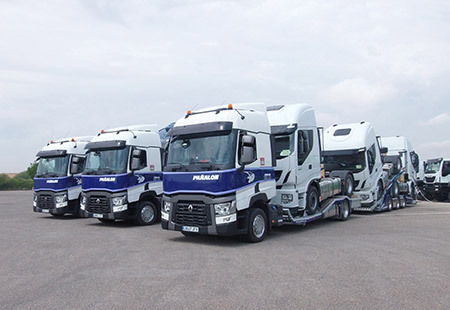 To achieve this our fleet of vehicles is the most modern in the market, allowing the best optimization of the load, with the maximum length and height permitted by current legislation. 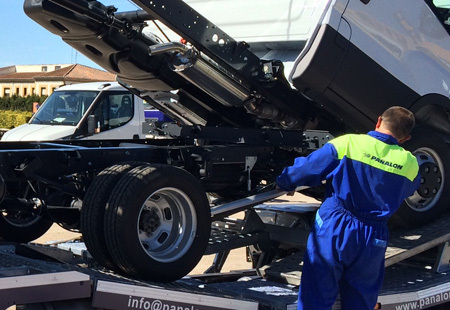 Due to the complexity of this activity and to obtain the maximum safety in the processes of loading, transport and unloading of vehicles, the company has as a priority the training of its drivers in the procedures of vehicle handling, type and models of vehicles, handling of ramps and hydraulic elevation systems, safety fastening systems, etc..
Our services are specially aimed at manufacturers, importers, dealers, rental companies, and bodybuilders of all kinds of industrial vehicles like buses, trucks, vans, agricultural tractors, construction machinery, etc. We meet our customers’ needs by doing regular and spot services, jockey transport, combinations of road transport with other means of transport like railroad and short sea shipping, always seeking the best logistic solution according to the needs of our clients. 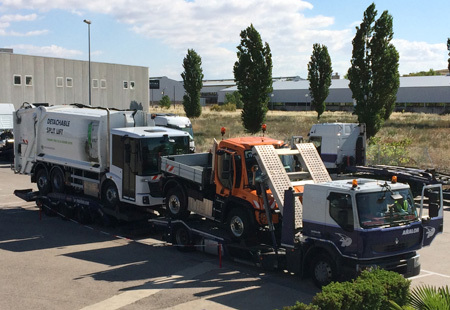 More than 100.000 industrial vehicles transported yearly in all of Europe reflect our potential in this sector and allow us to optimize resources and to give an agile and high quality service.